• But it would provide CHIP, which covers nearly nine million children, with funding for six years. The document casts a bleak picture of U.S. national security threats, citing not only Russian and Chinese nuclear advances but also ones by North Korea and, potentially, Iran. 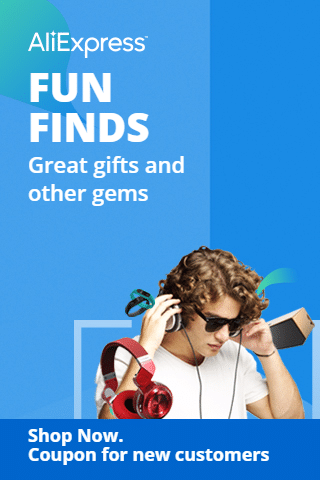 • Separately, Japan’s public broadcaster accidentally sent news alerts on Tuesday that North Korea had launched a missile — just days after the government of Hawaii sent a similar warning. • The house near Los Angeles where 13 siblings, some shackled and emaciated, were held captive by their parents was also being used as a state-approved school. The case raises questions about whether California is too lenient in its approach to home schooling, and whether it should have been monitoring David Turpin, the father and supposed principal, more closely. • The parents, both arrested on nine counts of torture and child endangerment, remain in jail. • The White House physician said on Tuesday that President Trump’s overall health was “excellent,” and that the president had received a perfect score on a test to screen for neurological impairment. The physician, Dr. Ronny Jackson, said that Mr. Trump, 71, had asked for the cognitive test to try to quell questions about his mental abilities. • Dr. Jackson also said that the president weighed 239 pounds and was too sedentary. • President Trump’s former chief strategist was subpoenaed last week by the special counsel to testify before a grand jury as part of the investigation into possible links between Mr. Trump’s associates and Russia. It is the first time Robert Mueller, the special prosecutor, is known to have used a grand jury subpoena to seek information from a member of the president’s inner circle. • But it could be just a negotiating tactic, our reporter notes, and doesn’t mean Mr. Bannon is the focus of the inquiry. A Senate committee hearing on border security turned into a fight over how President Trump described some countries, and Stephen Bannon is subpoenaed in the Russia investigation. • Americans are warming to the Republican tax law and are increasingly confident in the economy, according to a new poll. They just aren’t sure that President Trump deserves much credit. • It’s time for Apple to build a less-addictive iPhone, our technology columnist writes. • U.S. stocks were down on Tuesday. Here’s a snapshot of global markets today. • You’ve been asked to be a bridesmaid. Now what? • Observing “dry January”? Here are six alcohol-free cocktails. • Recipe of the day: Wild rice and mushroom casserole will feed a crowd in style. Writers from across the political spectrum discuss President Trump’s recent comments on immigration. Mathilde Krim, a geneticist and virologist, crusaded against AIDS for decades, raising money and awareness about a disease that has killed more than 39 million people worldwide. She was 91. After Simone Biles and others said they had been molested by the national team doctor at a training center in Texas, U.S.A. Gymnastics needs a new home, our sports columnist writes. 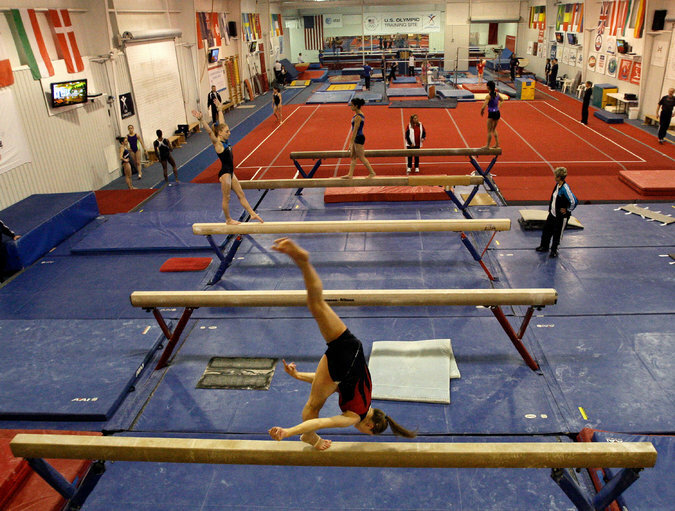 A workout session at the Karolyi ranch in Texas, the training center for U.S.A. Gymnastics. Our Food section this week is all about Canada. A new generation of cooks and scholars is reclaiming and spreading the cuisine of the country’s indigenous people. 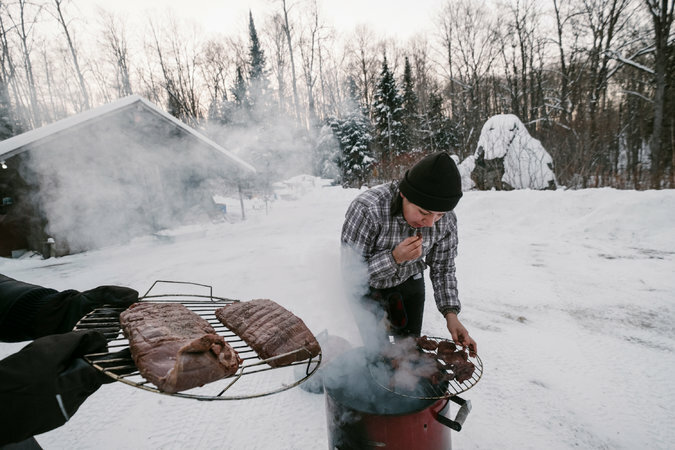 Cezin Nottaway, an Algonquin who runs a catering business, smokes moose meat using a method she learned from her grandmothers. 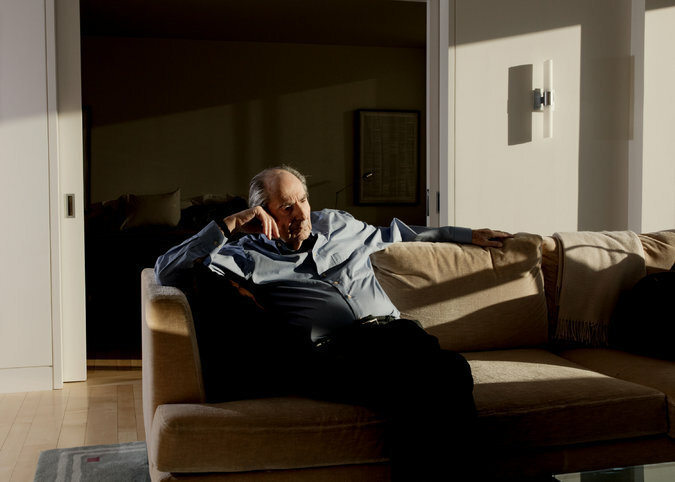 Philip Roth, at his home on the Upper West Side of Manhattan. The comedy hosts were surprised by the results of President Trump’s physical exam. — Dr. Ronny Jackson, the White House physician, on President Trump. Tiffany, who died on this day 85 years ago, was the son of the founder of Tiffany & Co., the famous jeweler. But the younger Tiffany found his own success as an artist and designer, most famous for his work with stained glass. 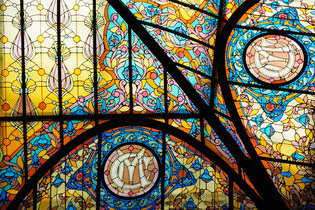 Tiffany stained glass at a hotel in Mexico City. The work was followed a year later by a commission with a much higher profile: redecorating the White House. Chester Arthur had been thrust into office after the assassination of President James Garfield in 1881. He hired Tiffany to remodel the Executive Mansion to suit his refined tastes. Tiffany redecorated several rooms, and he also installed a large stained-glass screen in the Entrance Hall. But his mark on the White House did not last. Twenty years later, in 1902, President Theodore Roosevelt ordered a major renovation that swept away the building’s Victorian touches — including Tiffany’s screen.